Turkish bombings in Sidakan, a sub-district along the borders of Turkey and Iran have increased. 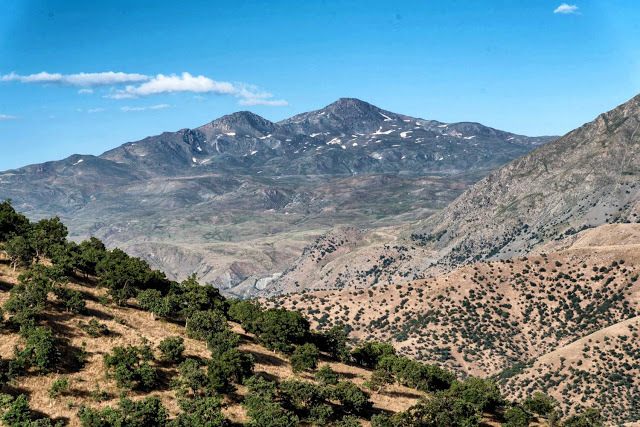 Villagers now have to navigate precariously between invisible lines of armed Kurdistan Worker’s Party (PKK) controlled areas, which tend to be of higher risk, and high pasture grazing land, the Kelasheen, where their families camp all summer with their animals. On the eastern border, Iran has begun shelling the area, displacing and injuring people. Sidakan is the largest sub-district in Iraq and the autonomous region of Kurdistan in Iraq (Kurdistan Regional Government - KRG). This rugged mountainous region shares a border with Turkey on the north and Iran on the east. CPT began it’s work in the area a few years ago when Turkey and Iran were bombing and shelling the highlands, prior to the failed peace talks of 2015, between Turkey and the (PKK). Turkey began bombing the area in the mid-nineties when the PKK moved their operations from the cities of southeast Turkey to the eastern mountains of the KRG, including Sidakan. The villagers who farm and graze their animals in these mountainous pastures continue to be victims of the cross border attacks as reported by the team in their 2012 report, “Disrupted lives” and most recently in neighbouring Zergaly. The mayor of Sidakan, Karwan Karimkhan told us, “100 of the 250 villages of Sidakan remain in rubbles since the Kurdish uprising against Saddam Hussein in 1991.” “The civil war and the ongoing assault from Turkey and Iran have prevented any sort of reconstruction in the area.” Many villages were rebuilt after 1991 but the villages in Sidakan remain in ruins. The civil war fought in the 90’s into the early 2000’s between the dominant groups - the political parties: the Kurdistan Democratic Party (KDP) and the Patriotic Union of Kurdistan (PUK), and the armed PKK - created a hostile environment hampering rehabilitation, in addition to the continual cross border attacks. Our partner, Sabir Jalal Ahmed, a farmer and resident from the village of Zhilya in Sidakan told us about the fear under which they live. “Turkey is bombing very close to where my livestock graze during the summer. My mother and brothers in the Kelasheen live in fear of the next bombardment.” Due to the arid terrain in lower elevations, families move to the Kelasheen for better access to land conducive for grazing and agriculture. “We are afraid and uncertain of our futures,” he added. The lives of the high mountain villagers of Sidakan continue to be precarious. Security and safety for the villagers can only begin if the KRG government will allocate and implement a plan to rebuild the damaged infrastructure in the area; and take bold action in confronting its neighbours, Turkey and Iran to stop the bombing of villages. The international community has also remained silent. It needs to begin condemning Turkey and Iran of their oppressive and violent policies towards the Kurdish people.